GET Hiking: Wait, so, what?! In a few days we are leaving for State College, Pennsylvania. 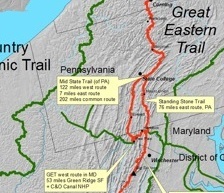 In Pennsylvania and Maryland, the Great Eastern Trail has two official routes. To thruhike the trail, you need only choose one route and last year we took the eastern route, hosted on the Tuscarora Trail, Standing Stone Trail, and Greenwood Spur of the Mid State Trail. 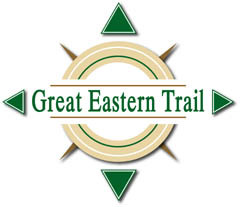 This year we want to explore the western route of the Great Eastern Trail. We are returning to Detweiler Junction on the Mid State Trail, then heading south along the MST. The MST is very proud to use the metric system, so we'll be brushing up on that while we hop over rattlers and sweat our butts off. At the Maryland border, we will follow the GET through Green Ridge State Forest before our final GET jaunt along the C&O Towpath towards Hancock, Maryland. 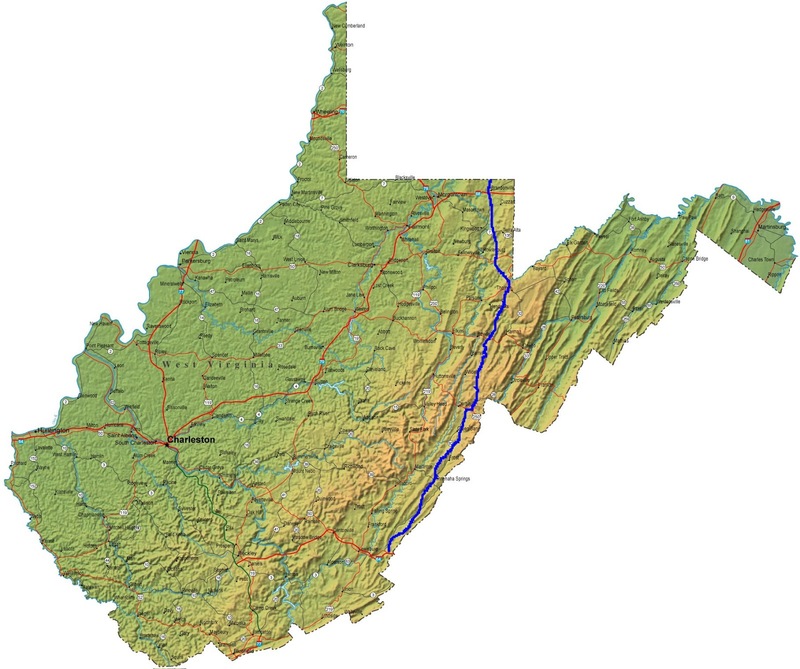 From Hancock, Maryland, it is only 90 miles to Bruceton Mills, West Virginia where the northern terminus of the Allegheny Trail lies. Had we more time we'd walk there, but instead we will be finding a shuttle. You can read more about the Allegheny Trail by clicking here. The Allegheny Trail ends on the Appalachian Trail, about 16 miles north of Pearisburg, Virginia. We will hike the newly-relocated section down into town and then flail our arms around until we figure out a way back to Mullens. Even more info available at WVSTA.